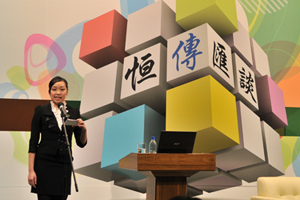 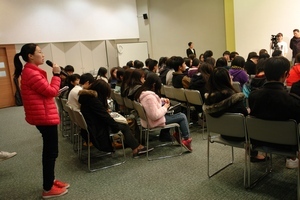 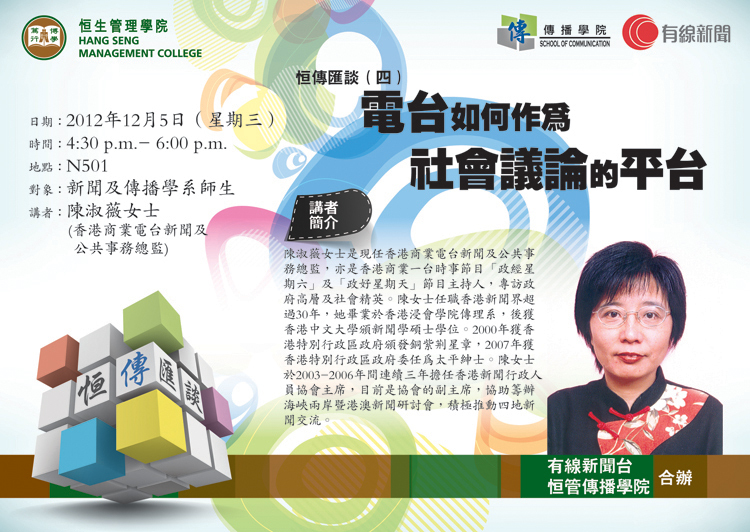 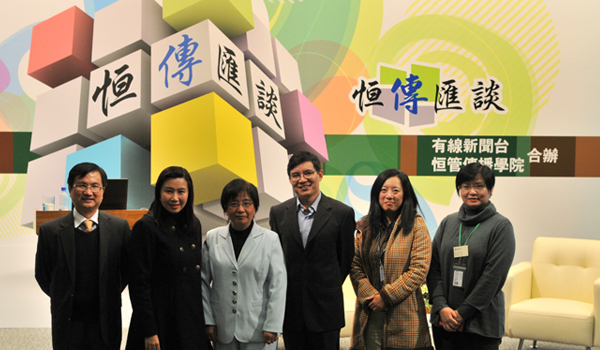 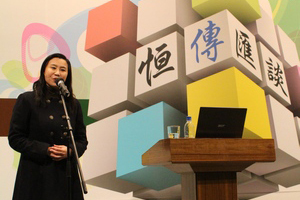 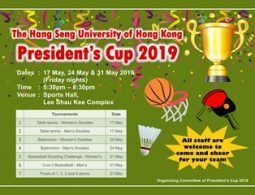 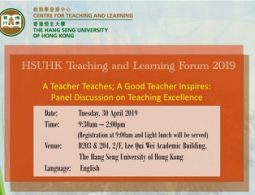 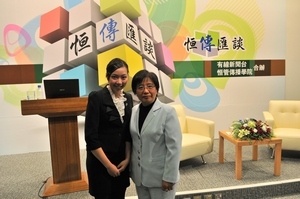 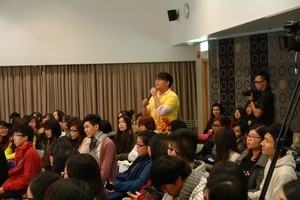 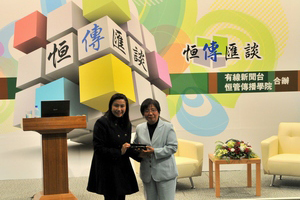 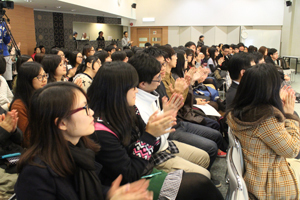 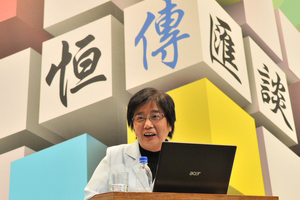 The School of Communication invited Ms May Chan, Director (News and Public Affairs) of Hong Kong Commercial Broadcasting Company Limited as the guest speaker for its fourth talk. 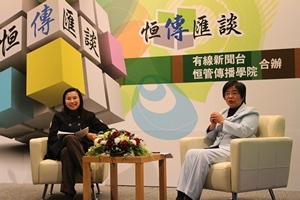 Ms. Chan pointed out that the issues discussed on radio programmes are closely related to the public, such as livelihood issues and hot news of the society. 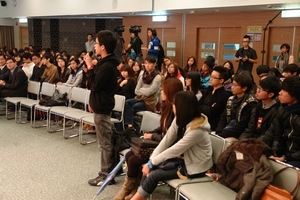 Citizens can express their opinions through the phone-in sessions to raise public attention. 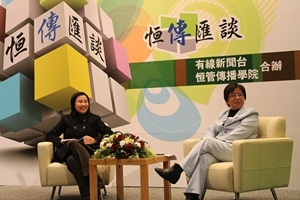 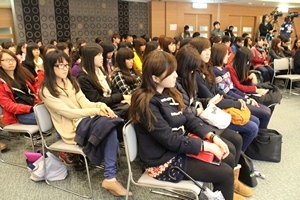 As a result, radio shows have been gradually leading the public discussion. 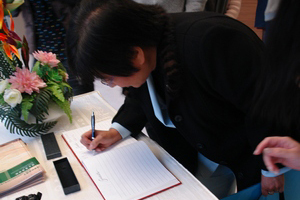 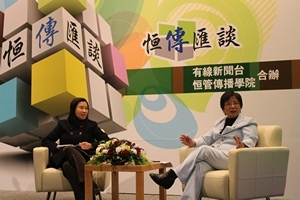 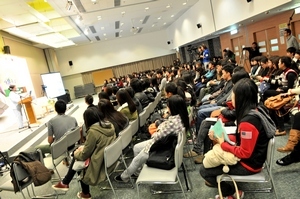 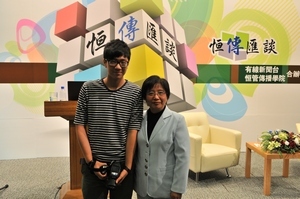 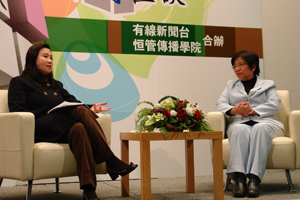 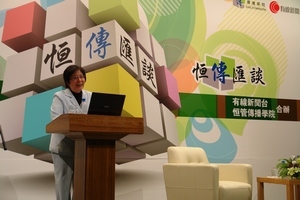 Ms. Chan emphasized that radio hosts should have adequate preparation and impartial point of view. 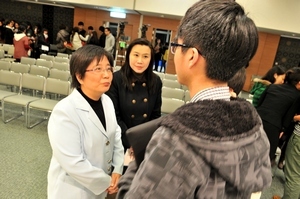 She also encouraged BJC students to broaden their horizons and lay a good foundation for their future careers as media professionals. 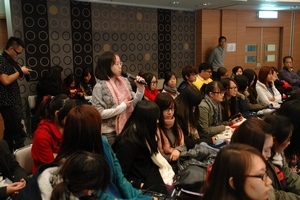 BJC students were deeply inspired by Ms. Chan’s sharing.